U.S. Supreme Court Justice Sonia Sotomayor. Photo by Gage Skidmore, via Wikimedia Commons. Justice Sonia Sotomayor said on Thursday that she has not heard from half her family in Puerto Rico since Hurricane Maria struck the island. Speaking at the Newseum, Sotomayor said Puerto Rico “is suffering a great tragedy right now” and she and her family are very concerned, CNN reports. “We ask for your prayers,” Sotomayor said. The Daily Mail also had coverage. Hurricane Maria has closed the federal courthouse in San Juan and one federal courthouse in the Virgin Islands—in St. Croix—that had opened after Hurricane Irma, the National Law Journal (sub. req.) reports. Also closed are courthouses in St. Thomas and Key West, according to a U.S. courts update posted Thursday. 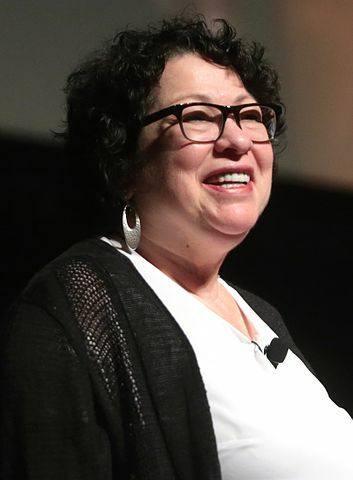 A Supreme Court spokeswoman told CNN that Sotomayor has been able to connect with family members in the San Juan area, but not with relatives in the area of Mayaguez on the west coast of Puerto Rico.